The finishing touch for your house, a patio veranda. Enjoy the outdoors for longer. Makes outdoor living a reality. 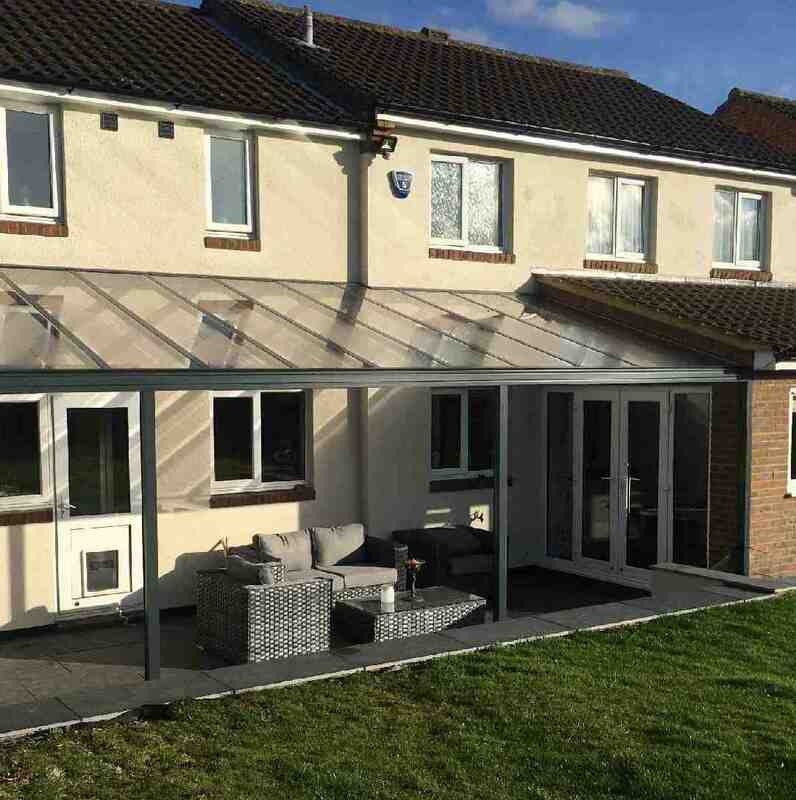 The Omega Verandah is based on our best selling (wall-mounted) Smart Canopy System; with additional Finishing Trims and frame coloured, powder-coated fixings. As a consequence; the Omega Verandah has cleaner lines and higher quality architectural detail. Omega Verandah - Omega Build supply a range of roofing components such as Omega Verandah, diy conservatory roof kits, polycarbonate roofing sheets, polycarbonate canopy kits and much more. You are currently browsing the Omega Verandah category of our polycarbonate sheets and canopies shop.